Welcome to the ROTARY CLUB OF DAVIS. You may not see yourself as someone likely to join any type of club (I know I didn’t before Rotary), but perhaps you’ll reconsider after learning a bit more about the Rotary Club of Davis. Nearly all you need to know about our club can be found in this link. By all means, read this information (and go to www.Rotary.org as well). I say “nearly all you need to know” because nothing is mentioned in our flyer about how being a part of Rotary makes you feel. Most members will tell you that they feel proud to be a part of an organization that does so much locally, regionally, and around the world. Many members also feel that Rotary makes them a better person. A better person not only due to the selflessness in helping with various projects, but also due to becoming more educated during the weekly programs / great guest speakers at our meetings. What legacy will you leave? The 2018-2019 Rotary International President, Barry Rassin, has come up with a theme for his year… “Be the Inspiration”. Barry said that he wants to inspire Rotarians “to do more, to be more, to create something that will live beyond each of us”. I’m honored to be a Rotarian and to serve as President of our club for the 2018-2019 Rotary year. Although I opted not to have a theme like our international president for my year as president, I do have a few goals. One of which is in the weeks and months ahead to identify a larger than usual local service project to help our community. If you know of any need here in Yolo County, please feel free to contact me or another local Rotarian. And please come as my guest to one of our weekly meetings at 421 D Street on Mondays at noon. 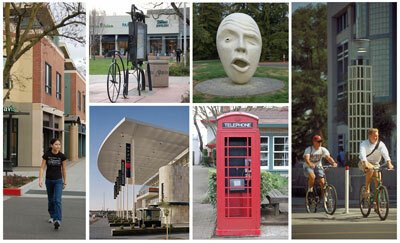 PS There are two other Rotary clubs in Davis. Click on these links for more information: Sunrise and Sunset clubs. Click here to download our new Rotary brochure! 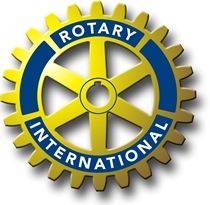 Click here to learn about Rotary on Youtube. All Rotary clubs throughout the world are dedicated to the ideal of service to others. We always welcome new members.· If you would like to learn more or to join us. We will be happy to see you and the lunch will be on us! or contact us. Thank you for your interest in our organization.